Simple Steps to Make Golf and Business Work for Your Success. Golf Can Be Your Key To Success in Business! Women play golf because they love it. It’s a great way to get outside, meet people and enjoy exercise in a social setting. It’s also a great way to network for career advancement. 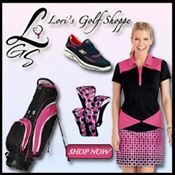 I met Debbie Waitkus from Golf For Cause at the recent PGA Merchandise Show in Orlando, Florida. Debbie was gracious enough to sit down for a few minutes to share with me some thoughts about how the game of golf has changed her life and her business. Beginning golf as more of a fun event than a serious venture into the sport, Deb soon learned that playing golf with her fellow workers increased the level of camaraderie in her office and contributed greatly to team building. Playing golf helped “level the playing field” and very quickly led to some big opportunities. Click on the podcast button below to hear Deb tell her own story. Key points to remember if you are going to play with clients or co-workers. Always play from the same tees as your golf partners, or if that is not possible, invite them to join you as you tee off from the red tees. Ask advice, ask them to watch your ball. You’ll discover how important it is to “stay in the conversation.” That’s where the business happens. Never allow the course to separate you from your golf partners. Always take part in any betting games. Don’t be afraid to show off your interest in golf by placing equipment or golf awards around your office. You’ll discover they work as a “silent invitation” to potential golf partners and will bring you business opportunities. What’s your experience with golf and business networking? Have you found it to be easy? Difficult? Add your two sense and best advice. 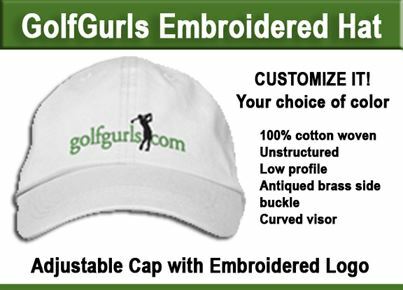 I think it is especially important for women to learn golf and play golf with business acquaintances, as this is the way many men do business networking. We need to bring ourselves into their world so we can be on an “even playing field” with the men. My only caveat would be to be careful with the amount of conversation you have while on the course. Before playing with a new acquaintance, try and get a sense of whether they are the type of person who enjoys conversation on the course. Some people do not, as they feel it distracts from their game. Early on in the round, make sure that your conversation is kept to a minimum until you get a feel for their golf personality. Their is nothing more embarassing than having someone ask you to be quite on the course. As a naturally loud talker, this has happened to me! Good advice. I tend to be a talker and have to be more sensitive to the other players. But it only takes a couple of sharp looks for me to quiet down. One rule… never talk while someone is swinging!